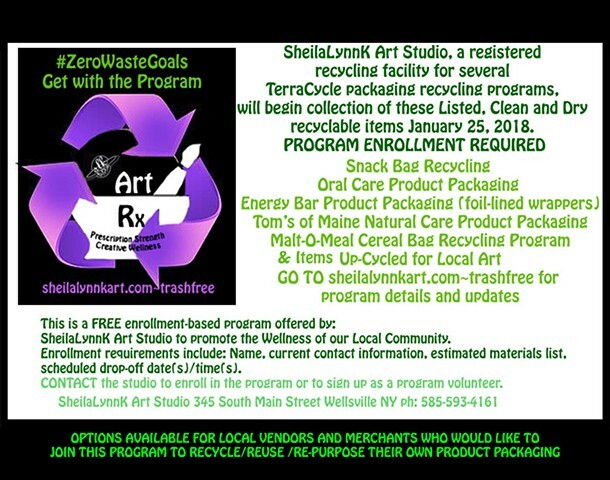 SheilaLynnK Art Studio is committed to consideration of Green Matters for the Wellness of our local community and the Earth. This 20 minute TedxTalk video explains more about the difference between necessity and convenience plastics and the numerous reasons we must stop using single use plastics. Recycling is no longer considered a viable sustainable solution to this life threatening pollution. ZeroWaste Tips from "People Who Make Hardly Any Trash Share Their Green Secrets"